Success Group International is a force of nature when it comes to independent contractors and home service businesses. Ask any business owner in HVAC, plumbing, roofing, or electrical contracting and they’ll tell you SGI is the common denominator among market-dominating companies. And in 2013, I became the exclusive branding partner to Success Group International. The short answer is that if you make enough business owners rich, you get a reputation. Then that reputation opens doors, and if you have the chutzpah to walk through those doors, you get to work with organizations like SGI. Between 2006 and 2012, when I was first building my company (and long before I started the Brand Guys as an offering exclusively for SGI members), I worked with 7 Heating and Air Conditioning companies, and all of them either doubled or quadrupled or achieved several years of double-digit growth. 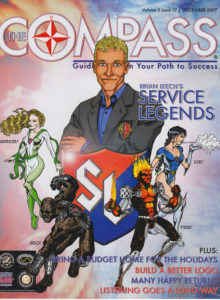 Among those clients was Brian Leach with Service Legends in Des Moines, IA. So when Service Legends won the SGI award for Home Service Company of The Year, SGI president Rebecca Cassel asked Brian what the secret to his marketing success was. 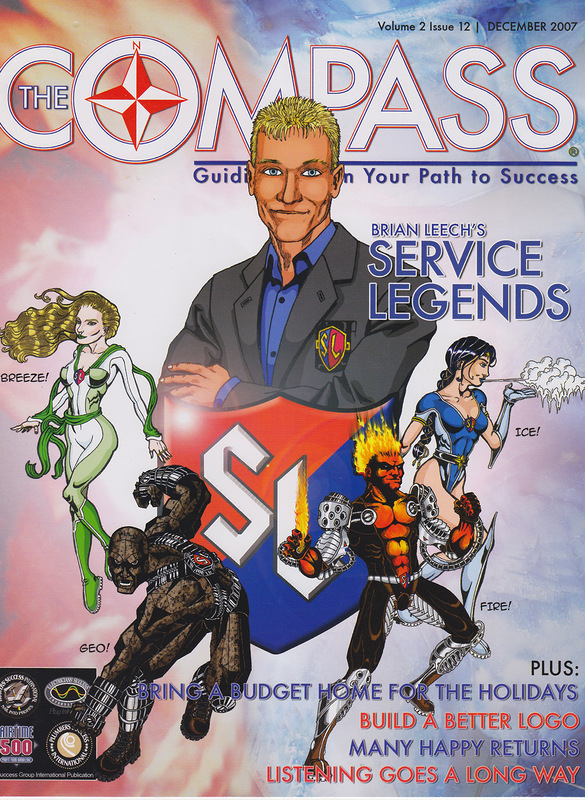 Now, Service Legends was a great company well before I had started working with Brian, but there’s also no doubt that combining his incredible team and customer service with great advertising had fueled remarkable growth. So Brian Leech, being the kind of guy he is, promptly gave me the lion’s share of credit for the growth and market dominance of his company. That’s when Rebecca decided to come out to Denver to watch me MC and speak at a marketing event I was putting on with some of my Brand Guys partners. She was impressed with what she saw and we met up to discuss a possible partnership opportunity. From there, we hashed out a deal, and then The Brand Guys and I began working with SGI clients looking to do mass-media marketing. Upon realizing the scope of the opportunity, I decided to build The Brand Guys with several other Wizard Of Ads partners who bring their own amazing skillsets to the table, including Charlie Moger, Tom Wanek, and Monica Ballard (who is also my de facto in-house creative director who writes most of the copy for my personal clients). Boulden Brothers’ worked with Brand Guy, Charlie Moger, who unified their plumbing, HVAC, and electrical services, rebranding and building on their family’s 70+ year heritage in the community. The result: all three divisions posted steady growth over the past five years. Summers & Zim’s who have enjoyed consistent growth with improved profit margins for the last 3 years thanks to Brand Guy, Tom Wanek‘s advertising. Brothers’ Plumbing worked directly with Ray over the last four years and have enjoyed solid double-digit growth every year, while the “Sisters from Brothers” have become local celebrities. CJS Heating & Air has been working with Charlie Moger to build their brand, and they have tripled in size and expanded into Columbus from Dayton—and are now poised for further expansion. Home Heating & Air Conditioning who have grown well over 50% during the last 3 years or so while working Tom Wanek. Of course, we’ve got many more success stories, but there’s are some of the highlights, and we look forward to many more successes to come as we continue our partnership with SGI. P.S. I’ll be at the SGI conference in Orlando later this week, so if you’re at the conference, look me up!